On September 3, 2013 President of Armenia Serzh Sargsyan announced Armenia’s intention to join the Customs Union (CU) of Russia, Kazakhstan and Belarus and take necessary steps to participate in the formation of the Eurasian economic union (ECU). The decision triggered a debate about the rationale behind the integration choice of Armenia both within and outside of state political circles. The sensitivity of the issue stemmed from the fact that for three years Armenia had been negotiating an Association Agreement and a Deep and Comprehensive Free Trade Agreement (DCFTA) with the European Union and in the wake of this new reality, membership of the Customs Union was seen by opposition forces as a rejection of EU integration and widely labelled in the media as a “U-turn” in the state’s foreign policy. In order to objectively judge Armenia’s decision one should take into account a number of factors and prior developments which preceded the outcome of the process. Furthermore, a deeper look at the internal and external context of Armenia’s decision would result in quite an obvious conclusion. Interestingly enough, the main internal debate sparked over Armenia’s integration choice was not the question why join the Customs Union, but why do it so hastily. The official response from Yerevan was that it made sense to participate in the formation of the Eurasian Economic Union from the very beginning, with the subsequent benefits that would accrue. Armenia’s cooperation with the CU has not been a sudden development; it had been on the state’s agenda for a while. Yerevan has promoted a parallel processes in line with its ascribed foreign policy of balancing relations with Russia and the West. In April 2013, when the DCFTA negotiations were still on, a memorandum of cooperation was signed by the Armenian Prime Minister and the head of the Customs Union’s executive body. 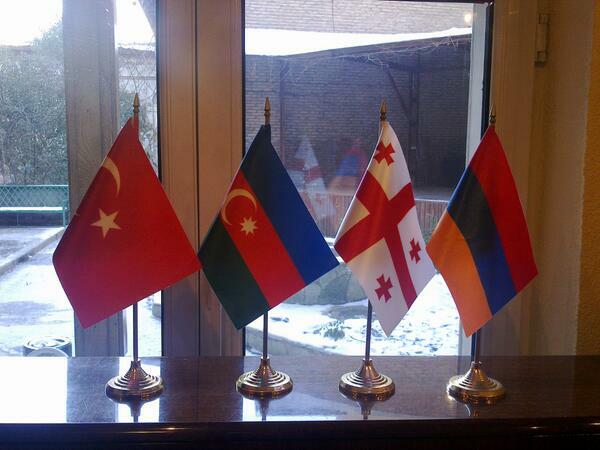 Armenia had participated as an observer state in the meeting of EurAsEC (Eurasian Economic Community) – a platform for the creation of a Single Economic Space by CU member states. The perceived unexpectedness of Armenia’s wish to join the Customs Union seems to have been left low-profile for a number of objective reasons. Firstly, opponents pointed out the predominantly negative perceptions of Russia in post-soviet countries and concerns about the resurrection of the Soviet legacy. On the other hand, the media had broadly covered the EU Association Agreement as it was objectively more palatable to the general public. Thirdly, the Customs Union had not been institutionalized by the time the EU Association Agreement was finalized. The absence of a common border between Armenia and CU member states posed at first glance a natural impediment to integration while the institutionalization created the technical possibility of economic interaction. The discussion of Armenia’s integration into the CU, mostly irrational in substance, has often overshadowed the pragmatic cost-benefit analysis. Yet even the absence of any substantive economic estimates of the effects on Armenia aroused different speculations over the possible benefits. Research implemented by the Eurasian Development Bank on “Armenia and the Customs Union: impact of economic integration” says that Armenia’s joining the Customs Union will ensure additional GDP growth of approximately 4% a year. According to these calculations the GDP growth rate will rise due to a reduction in the price of Russian gas and the benefits of the abolition of export duty on rough diamonds, giving Armenia a strong incentive for the development of its industry. Proponents for Armenia’s CU integration objectively point out the fact that Armenian labour migrants in Russia are responsible for 85% of all transfers to Armenia, constituting 15% of Armenia’s GDP. Those remittances represent a significant contribution, offsetting the budget deficit which in turn is the result of the country’s negative trade balance. Accession to the DCFTA might prejudice this benefit, especially in the light of Russia’s new migration policy regulations, leading to a negative impact on Armenia’s economy. However, there are alternative perspectives about the economic effects of Armenia’s CU membership. The most troublesome is the expected increase in domestic prices of basic commodities given the fact that around 60% of them are higher in the CU than the corresponding tariffs set by Armenia, and although the government is negotiating a long list of tariff exemptions for Armenia, in 2015 – with the launch of the Eurasian Economic Union – common import tariffs will be agreed. The other concern is the high proportion of EU countries’ share in Armenia’s foreign trade, which will decrease after Armenia’s CU integration. 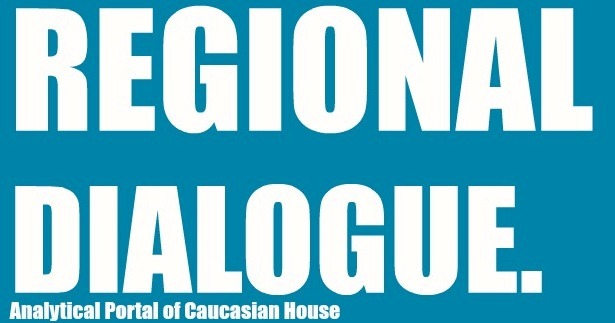 A peculiarity of the debate surrounding Armenia’s CU integration is the perception held by some that Armenia’s decision to join the CU is heavily premised on non-economic grounds – a claim which is nurtured by mostly western analysis of Russia’s integration initiative, which is presented as a “vehicle for reintegrating the post-Soviet space”  and is aimed at asserting its geostrategic and geopolitical position in post-Soviet states. According to these assertions, the Eurasian Economic Union is an alternative or even direct rival to the EU’s Neighbourhood Policy. As a reactive measure to this perception, the EU recently launched a discourse on the incompatibility of its integration initiatives and Russia’s. The so-called discourse of either-or choice voiced by the EU puzzled many. Armenia has expressed its readiness to sign an Association Agreement with the EU without the DCFTA component that contradicts Armenia’s membership of the Customs Union. This proposal was rejected, as the EU’s position was that the DCFTA is closely integrated with the Association Agreement. One may accept the legitimacy of the impossibility of simultaneous participation in two different free trade zones, but the rationale beyond conditioning the political association with economic one through nullifying both of them is hardly explainable. In case of Ukraine, the EU has signalled its readiness to sign the political part of the agreement separately from the economic part – a move that puzzles Armenia even more. Considering that inclusion is one of the central features of the Eastern Partnership policy, analysts in Brussels now recognize that by associating the political reforms with the economic free trade agreement “the EU has often ignored the roles outside actors play in the EU’s neighbourhood” thus actualizing the need to redefine its approach towards the eastern neighbours. Armenia’s accession to the Customs Union should be analyzed in the context of regional cooperation given the fact that the South Caucasus has always been associated with a single geopolitical entity outside the region. Armenia’s integration choice along with Georgia’s upcoming Association with the EU has intensified claims that countries in the region will inevitably divide on economic and political grounds. International structures working in the region, among them the EU, have not paid much attention to the specifics of each state, treating the region with a combined approach while recognizing that the foreign policy priorities of the three states mostly depend on their geographical location, economy, military capacity and other related factors. Despite being located in the same geographical space and united by common recent history, since the dissolution of the Soviet Union, Armenia, Azerbaijan and Georgia have chosen dissimilar paths of strategic foreign choices. Armenia is tightly linked to Russia in terms of security and economy. Russia is seen as an irreplaceable guarantor for Armenia’s defence – a claim which is not only dominant in Armenia but throughout the region. This is not simply a perception but a reality institutionalized through Armenia’s membership of the Collective Security Treaty Organization (CSTO) which Russia leads. Thus the state’s integration choice has been viewed as a natural result firstly in terms of consistency of integration processes, because security issues inevitably bring economic ties with its main strategic partner, and secondly, because state security and the national interest dictate relevant economic choices. President Sargsyan’s vision that “when you are part of one system of military security it is impossible and ineffective to isolate yourself from the corresponding economic space”  is proof of this assertion. 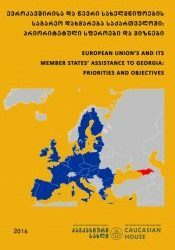 A brief overview of the regional context of Armenia’s development explains the limited policy choices available in regards to the state’s development and defence of its national interest. Because of the Nagorno Karabakh conflict there are no diplomatic relations with neighbouring Azerbaijan, and any hint of cooperation even on issues of a non-political nature fall foul of the conflict. Azerbaijan’s policy of isolating Armenia from regional infrastructure projects has forced Armenia to review its basic needs through alternative means. Furthermore, the constant, aggressive rhetoric of the Azerbaijani leadership towards Armenia and the permanent threat of force to solve the conflict keep the country in a perpetual state of readiness for the imminent resumption of a new war – a circumstance that makes security a top strategic imperative for Armenia with a subsequent subordination of all other aspects of state development to it. As a result, the efficacy of any non-security policy, including economic, is viewed through the prism of national defence. Another impediment to Armenia’s regional cooperation is set by its western neighbour – Turkey – which has kept its borders closed to Armenia for more than 20 years in professed solidarity with its ethnic kin in Azerbaijan. 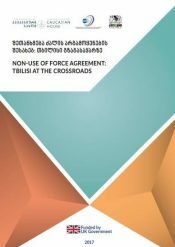 Turkey has made the initiation of trade, economic, political and all other relations with Armenia dependent on progress in the Karabakh conflict, interpreting the causes and effects of it in quite a unique acquiescence to the Azerbaijani approach. This objectively poses a question to the European Union whether it has made enough effort to address the conflict, bearing in mind that it is pursuing an Association Agreement with Armenia on the one hand and membership negotiations with Turkey on the other. Referring to the closed border, President Sargsyan once stated that “if we are negotiating to access the free market and freedom of movement (with the EU) …the Armenian border with the EU Customs Union remains closed”. 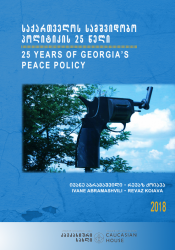 As opposed to Armenia’s relations or absence of relations with Turkey and Azerbaijan, cooperation with Georgia represents a traditional partnership. Georgia serves as a main transport route for Armenia to and from Russia and Europe. 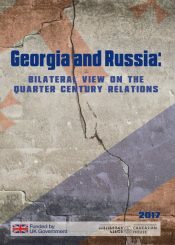 Armenia and Georgia are linked by inextricable historical ties and relations have never been severed even in the periods of the bitterest developments like one during the Russian-Georgian war in 2008 when Armenia, dependent on supplies through Georgia, had to balance between its strategic partner Russia and close neighbour Georgia. However, the current phase of Georgian-Armenia relations acquires a particular importance in the light of Georgia’s Association Agreement/DCFTA with EU from one hand and Armenia’s accession to the CU from the other. Pessimists predict that foreign political vector variety and different integration paths chosen by the two states will apparently expand the distance between them while the level and the quality of those relations provide a different perspective. It is simply because the time-tested relations may not substantially be changed due to the political or economic integration choices. Georgian initiative of the restoration of railway through Abkhazia appears as another step promoting the potential of the regional cooperation. Even though experts from International Alert question the economic profitability of the project  the operation of the railway may still serve as a tool for public diplomacy both for Georgians to engage with Abkhazian as well as Russians and Armenians – to open additional routes for effective trade in a common free trade union. Integration models proposed to the countries of the South Caucasus need to be adjusted to the limits of the corresponding state’s degree of freedom. They must not create divisions but bring states closer to a more united and integrated world. That appears to be possible, as peace and stability is advocated by exclusively all the world powers. Today in the course of the re-emerging Eurasian/European paradigm and artificial either-or choices, prospects for a common vision may appear only through local interaction between the peripheral states. As an example one may consider Georgian-Armenian relations, representing different integration frameworks, different political vectors of development but at the end serving as a micro model that can be applied to the wider context of effective collaboration between Eurasian and European integration frameworks.